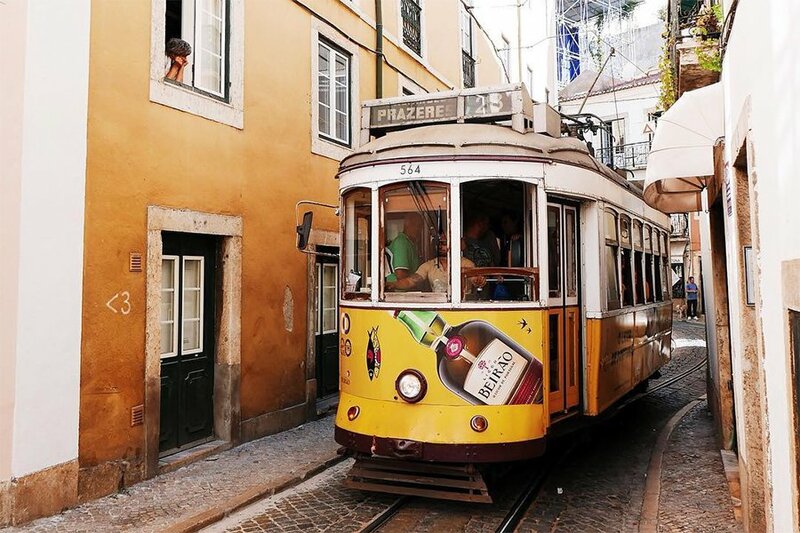 An iconic yellow tram winds through the narrow streets of Lisbon. All photos by Victoria Lewis. 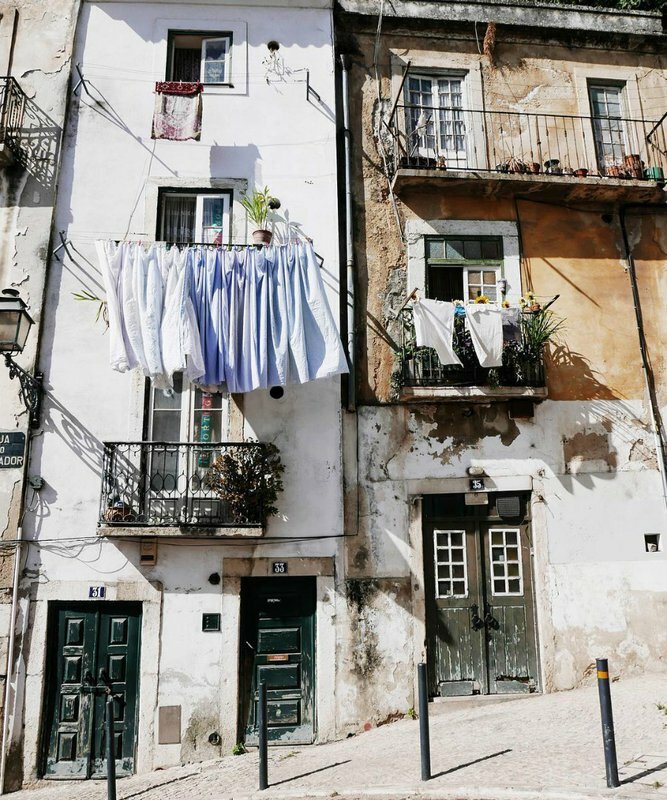 With its narrow, cobblestone alleys, azulejo facades, well-preserved neighborhoods, and many miradouros (viewpoints), Lisbon is a photographer's dream. 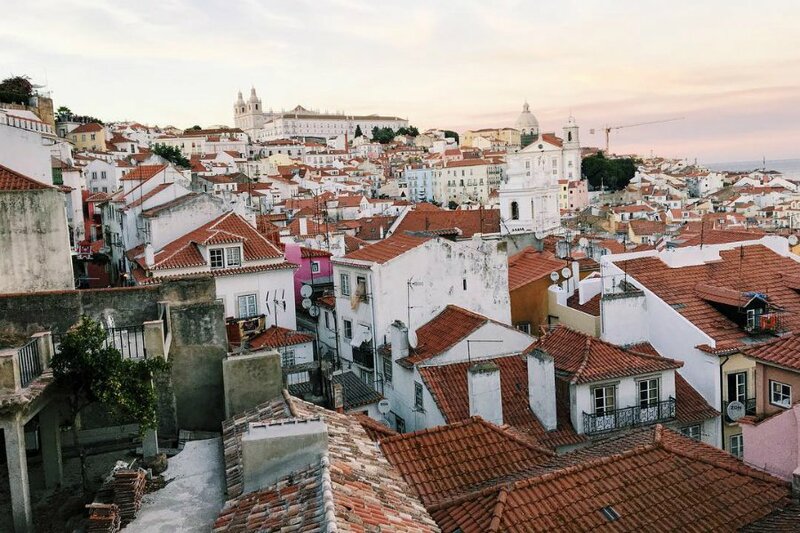 Whether you're planning a trip to the Portuguese capital or just looking for travel inspiration to get you through the week, get ready to fall in love with Lisbon. LISBON — I’m getting married in Portugal later this year, so I’ve spent a lot of time exploring the country over the past 16 months. 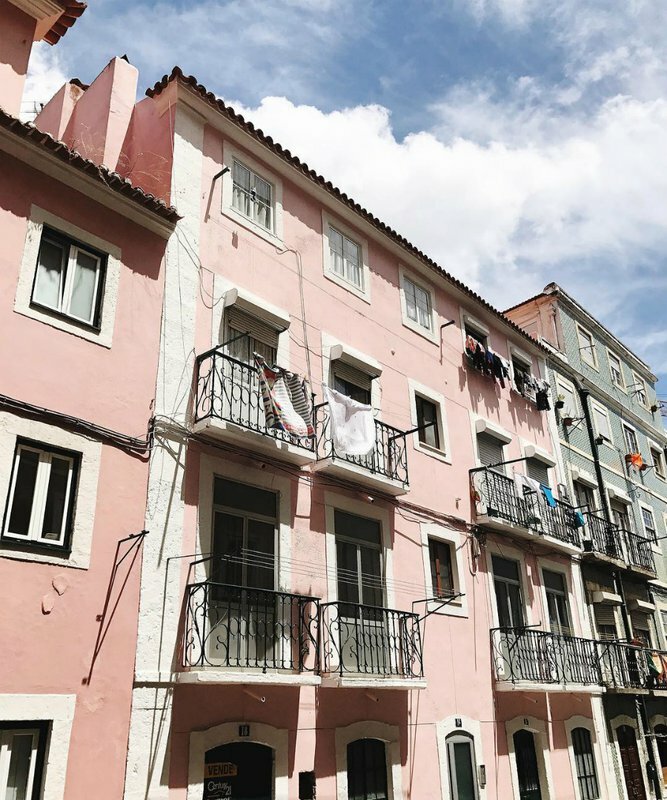 With its laid-back vibes, abundance of sunshine (2,800+ hours annually), and vibrant streets, Lisbon has quickly become one of my most loved European destinations. I’ve gotten in the habit of hopping off the plane and rushing right to a local pastry shop to get my pastel de nata fix. The popular sweets are a divinely creamy egg custard surrounded by a flaky puff pastry crust. 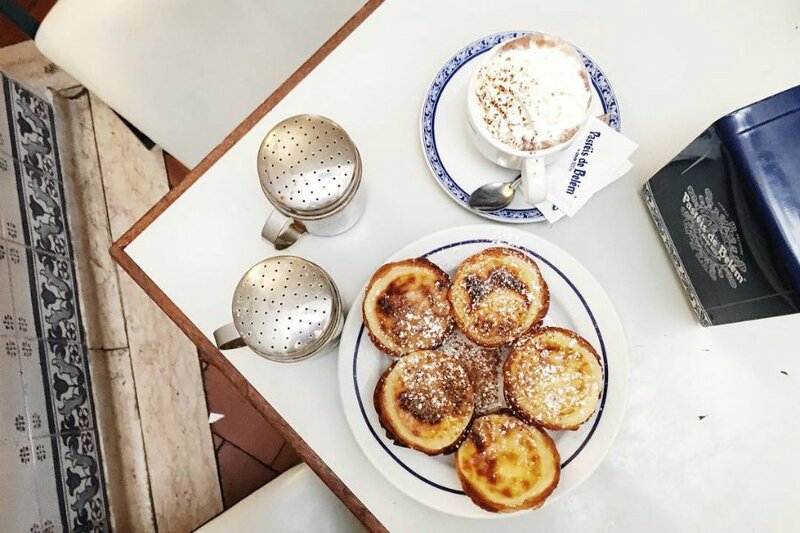 The fan favorites in Lisbon come from the famous Pasteis de Belem, but if you don’t have time to venture all the way there, Manteigaria near Bairro Alto gives them a run for their money. Better yet, try both. 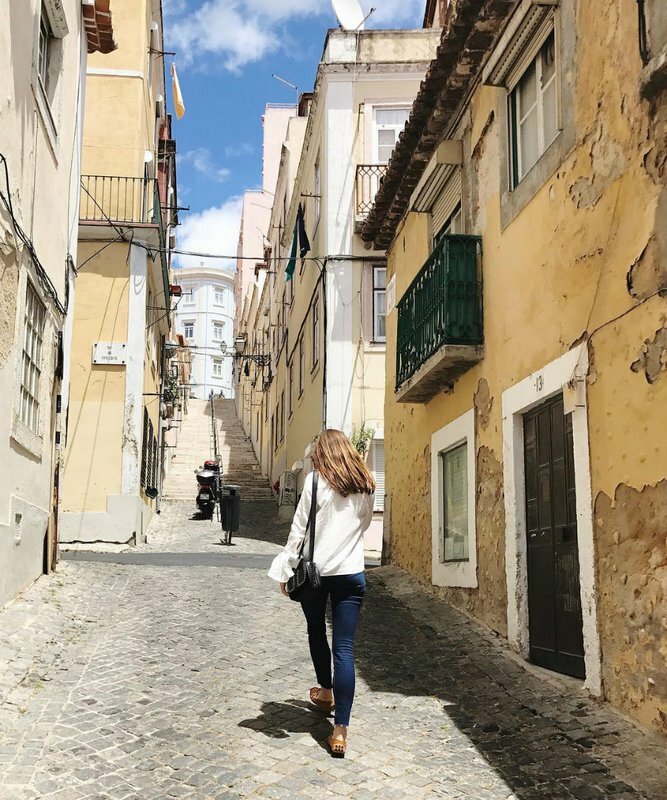 One of the best ways to explore Lisbon is by wandering the steep, twisty cobblestone streets and allowing yourself to get a little lost. It’s a manageable (if slightly hilly) city to take on by foot, and many of the most charming alleyways and passages are for pedestrians only. Some of my favorite areas to explore are the old neighborhoods of Bairro Alto (for funky shops and fun cafes), Baixa (for a quick peek at Lisbon’s tourist attractions), Principe Real (for chic shopping and people watching) and Alfama (for amazing views and excellent restaurants). 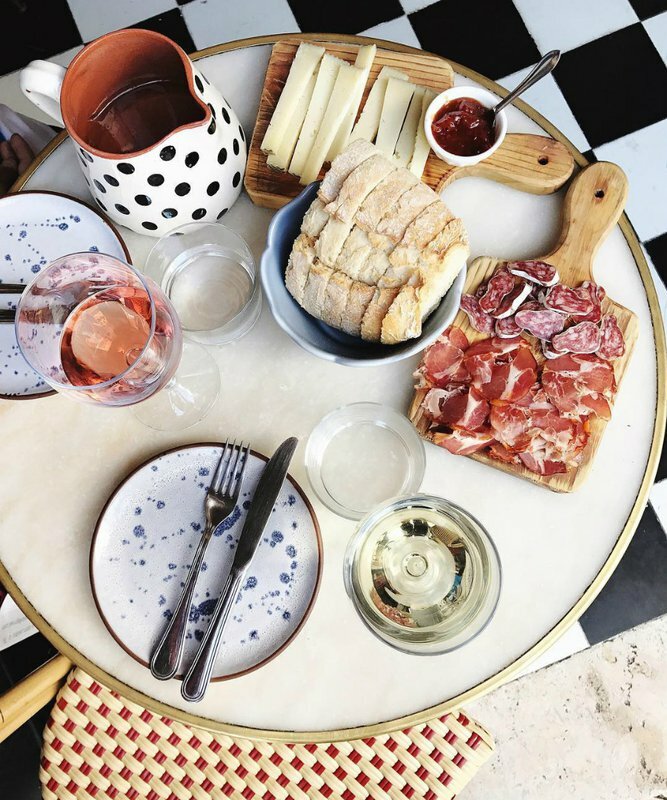 When you’ve worked up an appetite from all that walking, pop into a cafe like Casa da Praia Bar and Tapas for snacks and a glass (or two) of crisp vinho verde. One of the best things about being a tourist in Lisbon is that the food and wine are incredibly affordable (and incredibly delicious). Portugal is nearly as famous for its delicious, creamy cheeses as it is for its fresh seafood, so make sure to try plenty of both. The best way to end a day in Lisbon? Sunset drinks on the rooftop of the Memmo Alfama Hotel. You get the killer sunset view with significantly fewer selfie sticks than you’ll find at any of the public miradouros (viewpoints) around the city. My newest hotel crush: Santa Clara 1728 on the edge of the Alfama neighborhood. It's a quiet, six-suite escape that is impeccably designed and very inviting. 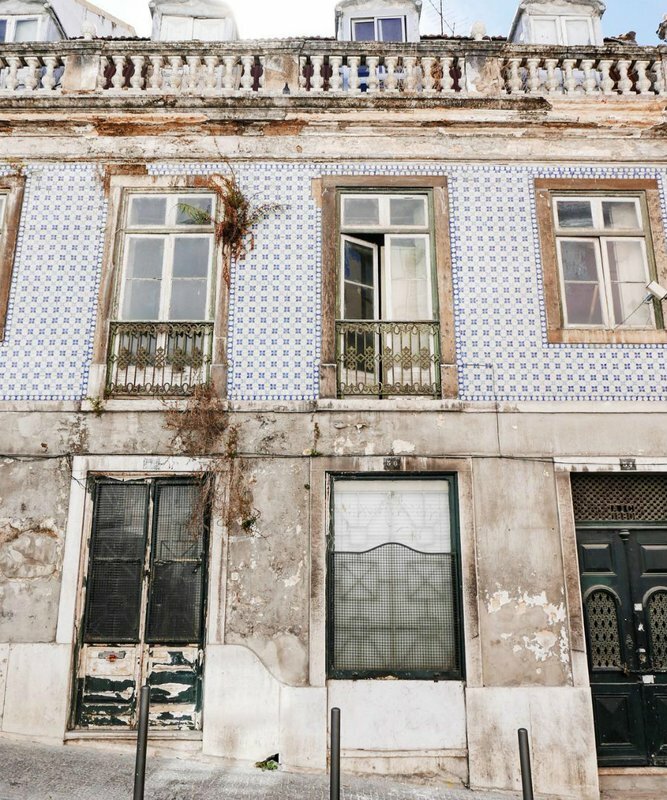 Get up early and wander the streets to catch the gorgeous tiled buildings before the rest of the city rises. There’s something decidedly magical about having the quiet city streets all to yourself. If you have the time, take a day (or just an afternoon) trip to nearby Sintra.Trains run frequently from Lisbon and are a steal at under €5 round-trip. 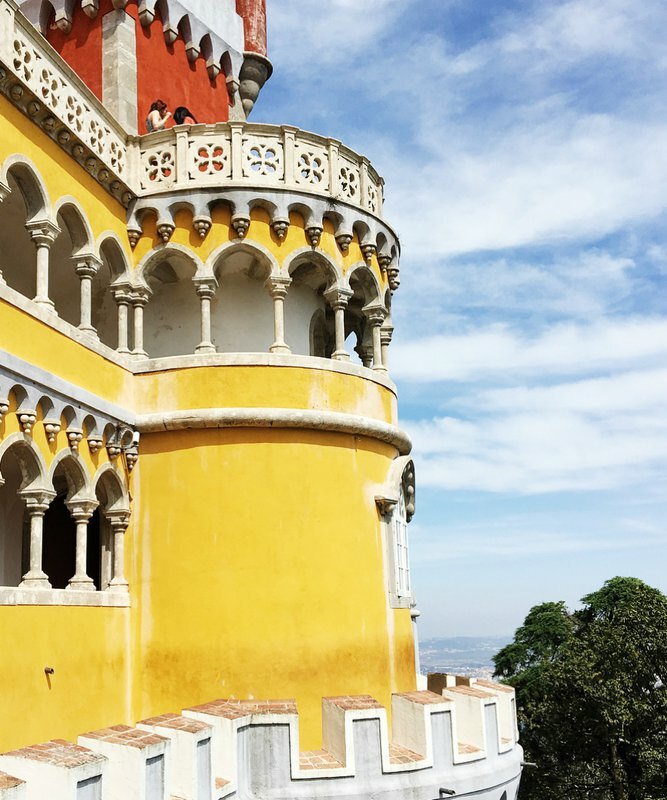 The wild and colorful fairytale Pena Palace (and its equally incredible gardens) is fantastic, but be sure to stop by some of the smaller palaces as well, like Quinta da Regaleira and Monserrate. 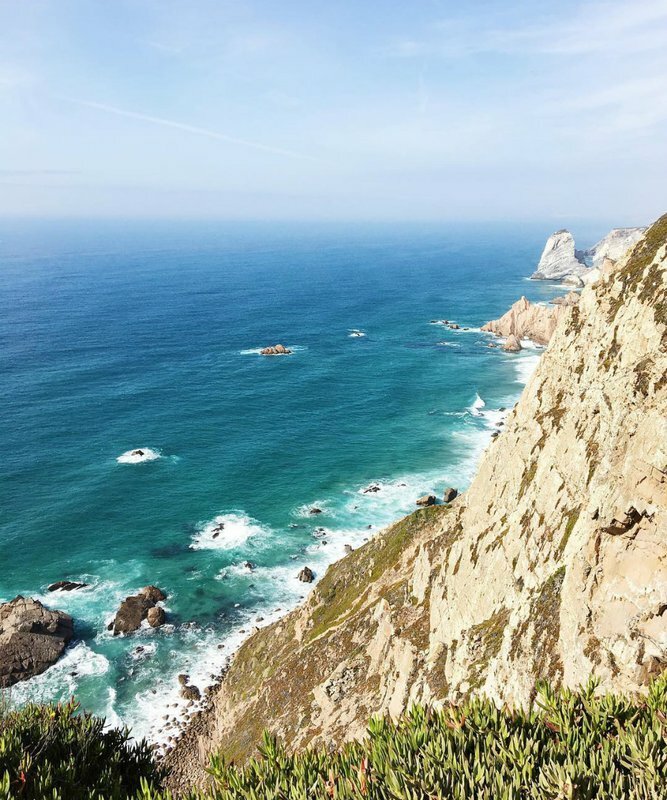 If you opt to drive to Sintra, take the scenic route and stop to take in the views at Cabo da Roca, the westernmost point of Europe. On your way back, drive through the windswept beach town of Cascais to catch a view of the colorful kite surfers skimming across the water. 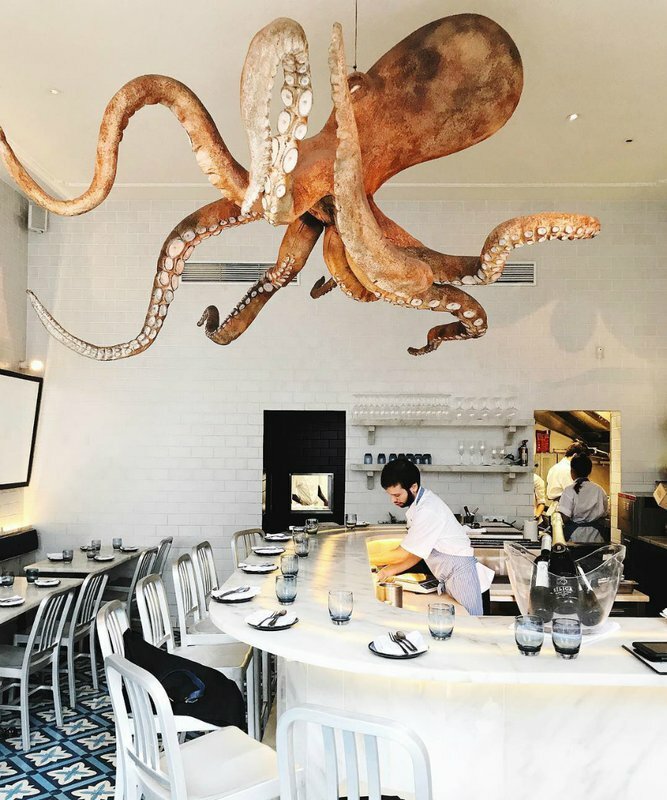 Famed chef Jose Avillez is one of the best-known culinary masters in the Portuguese food scene right now. While his Michelin-starred restaurants might draw more fanfare, I prefer the latest addition to his empire, the casual Bairro do Avillez. 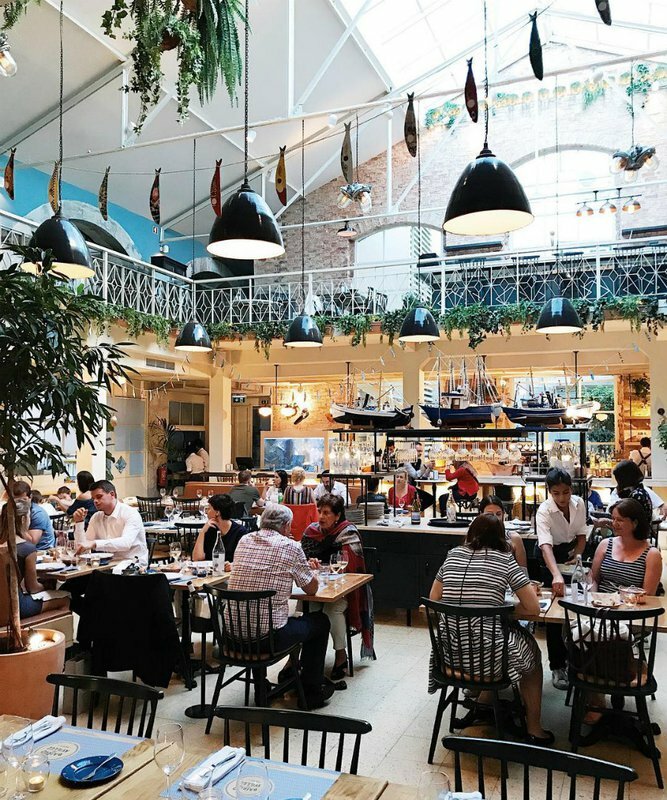 You can opt for the airy, seafood-focused restaurant in the back or the bustling taberna serving inventive tapas and charcuterie in the front — both are excellent for lunch or dinner. One of my favorite neighborhoods to wander is the upscale Principe Real (sometimes referred to as the Soho of Lisbon). This breezy area at the top of one of the city’s most infamous hills is home to modern, fashion-focused boutiques and a number of eateries favored by locals. Ask any young Lisboan where they go for ultra-fresh seafood and they’ll name A Cevicheria among their top picks. Snag a bar stool at lunch time and order a few different ceviches with a crisp glass of white wine. After lunch, ramble along Praça do Príncipe Real and pop into the numerous “concept shops” (an amusingly overused term on the Lisbon shopping scene). 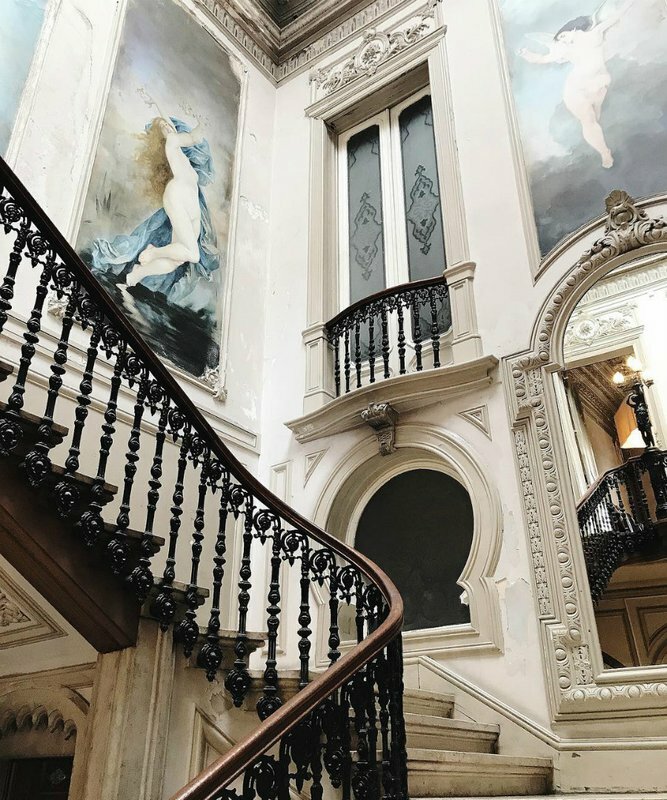 Don’t miss Embaixada, a 19th-century palace turned multi-store shopping mecca that offers everything from minimalist knits to eco-friendly home goods, as well as a cool gin bar when you’re ready for a little shopping break. 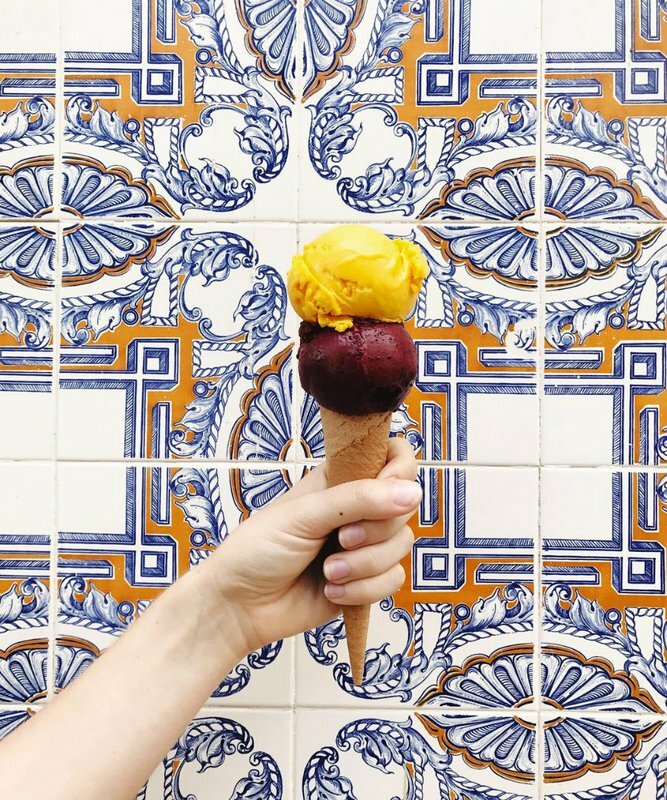 After a day climbing Lisbon’s steep streets, you’ve earned that gelado. Bonus points if it matches the traditional Portuguese tiles, azulejos. A final shot of my favorite crumbling, sun-drenched streets in Barrio Alto. Tchau!